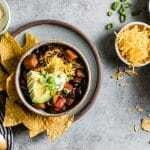 Rodelle Cocoa Powder is the secret ingredient that gives this vegetarian chili richness and depth. 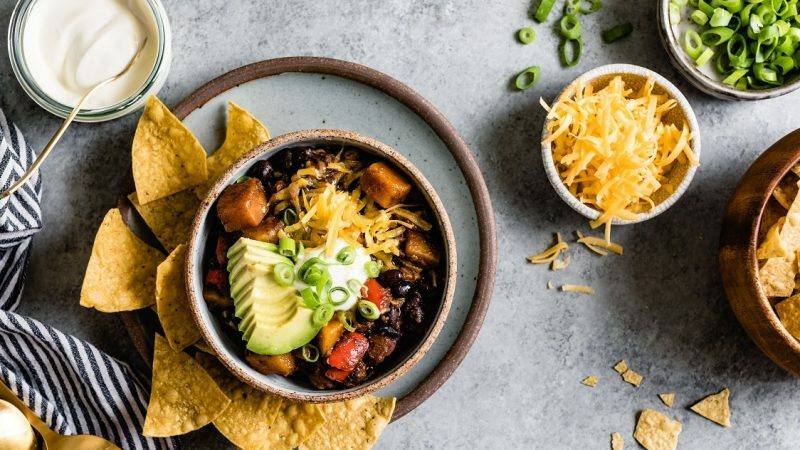 It won’t make your chili taste like chocolate, but it adds that extra flavor you never knew you were missing in your chili! Add the onion and bell pepper and cook, stirring occasionally, until tender, 5-10 minutes. Add the garlic, cocoa, chili powder, smoked paprika, cumin, cinnamon, cayenne, and salt and cook, stirring occasionally, until fragrant, 5 minutes. Add the bay leaf, winter squash, beans, tomatoes, and vegetable broth. Increase the heat to medium high and bring to a simmer. Lower the heat to maintain a gentle simmer, cover the pot partially, and cook, stirring frequently, until the squash is very tender and the chili has thickened to a chunky consistency, 30-45 minutes. 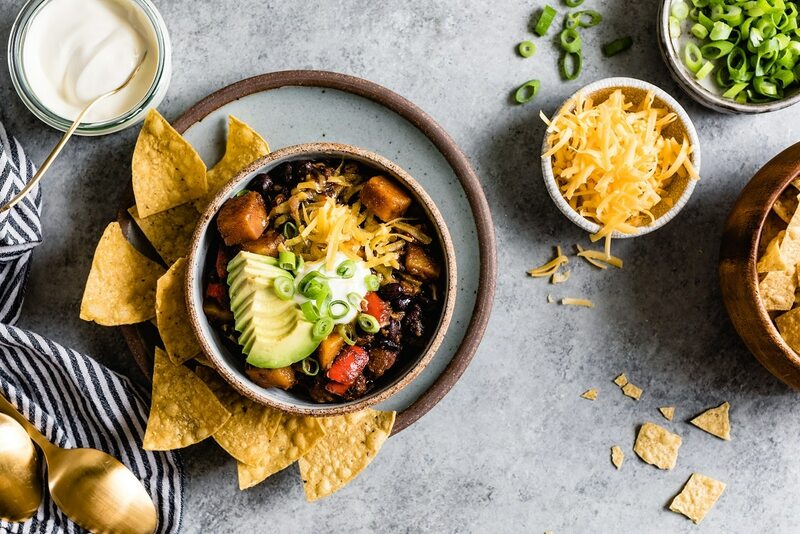 Serve bowls of chili topped with a handful of tortilla chips, a few slices of avocado, a spoonful of sour cream, a handful of cheese, and a pinch of scallions. The chili keeps well, refrigerated airtight, for up to several days.